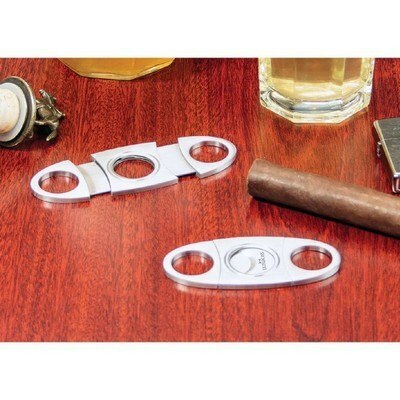 Our Cigar Cutter features double blades guillotine, Customizable with your logo for Brand Recognition. Dimensions - 1.5" x 3.5"
Cut a slice out of the competition with the custom printed Cigar Cutter at your next corporate event. Customize this useful tool to your brand by adding company logo and marketing message and impress your recipients like never before. 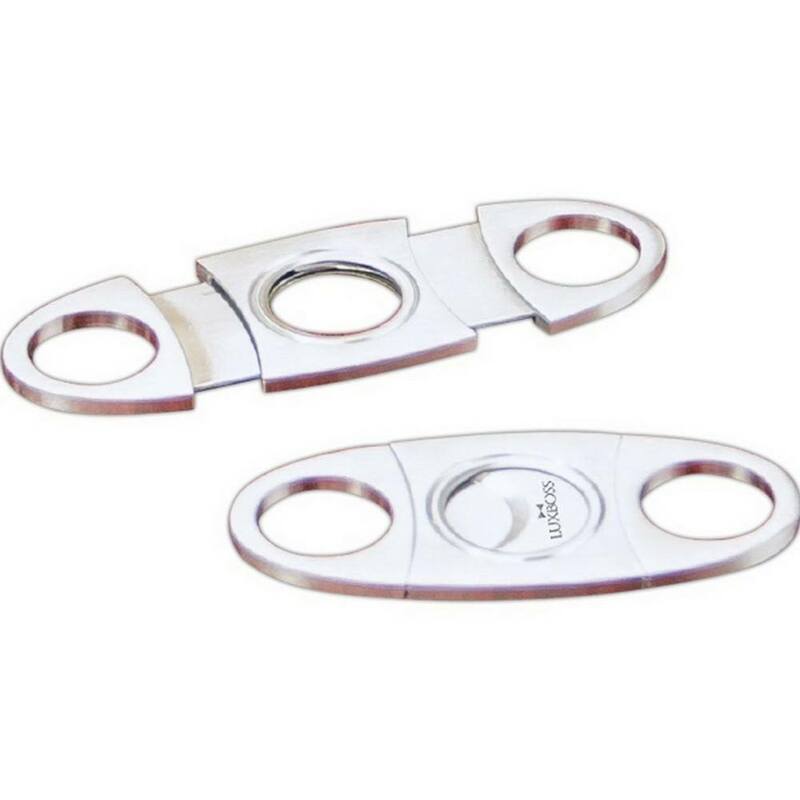 With a classic style, this cigar cutter is made of brushed, durable stainless steel and has double blades guillotine. The dual blades are self-sharpening and sharp enough to create a straight, clean cut. 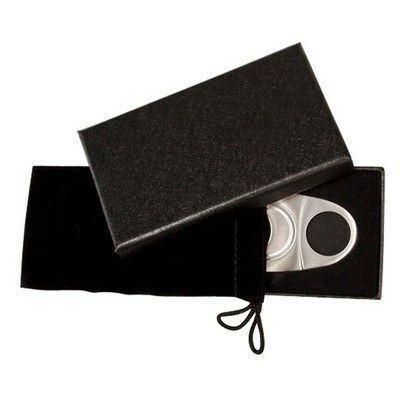 It works perfectly for all sizes of cigars up to 60 ring gauge. 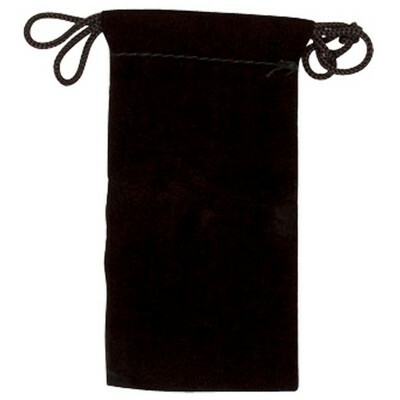 It comes in a velvet storage pouch with two-piece black gift box for convenient gifting solution. 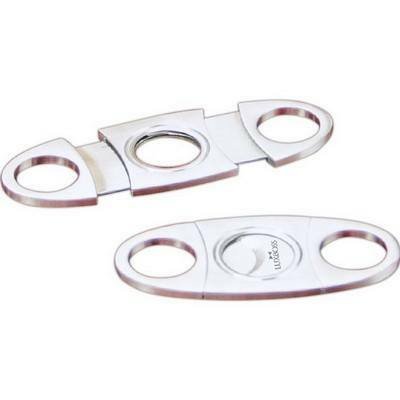 Make this smoker's accessory your next promotional tool!